The auto mechanics at Walker Automotive are the leading choice for GM/GMC service in New London and Wilmot. At our auto repair shop, we offer the best of both worlds, as we stay abreast of the automotive industry, while maintaining a traditional, down-to-earth style of customer service. 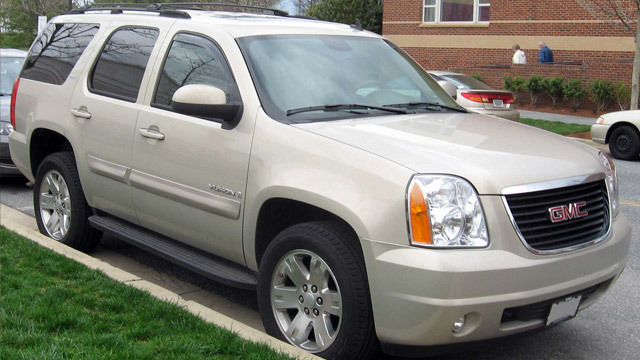 When you need GM/GMC service, our team of auto mechanics are here to help. It doesn’t matter the complexity or severity of the issue. We go that extra mile to accurately diagnosis and repair your GM/GMC, while keeping you updated each step of the way. When you arrive at our auto repair shop, we will perform a thorough inspection on your vehicle, which is part of the GM/GMC service. A report will be sent to you, complete with detailed notes and pictures. “Walker Automotive's team of auto mechanics are highly skilled and totally reliable. The company also works really hard to give you the a fair, highly competitive price. Never have I felt my auto needs to be in such good hands!” -- Landon H.
From preventative maintenance to a complex brake repair, trust Walker Automotive to handle any and all auto repair. It’s all about transparency here, as we are upfront and honest each step of the way. For a facility convenient to both New London and Wilmot that goes the extra mile to repair and maintain your vehicle, you are in the right place. Schedule an appointment for GM/GMC service. Walker Automotive is located at 3 Deerwood Dr., Wilmot, NH 03287.